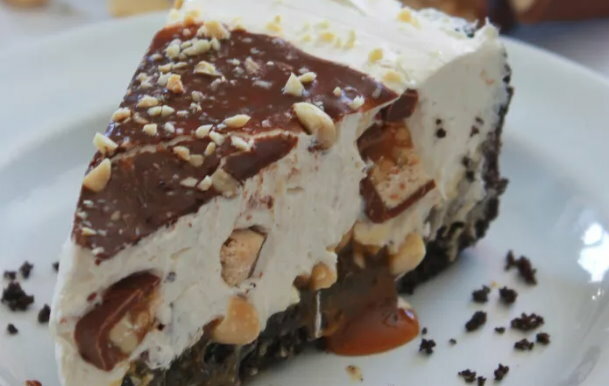 Easy AND delicious, Snickers no-bake cheesecake is a great idea for dessert! It all starts with an oreo cookie crust that gets topped with caramel and a cheese cake filling. Chopped snickers bars & are added to the filling, and then the whole thing gets topped with chocolate sauce & chopped peanuts. Chill for a couple of hours or longer and your fabulous dessert is ready to be served. You can check out the complete recipe on the post HERE.